Formed in 2007, Philadelphia and New York-based Many Arms are a power trio in the truest sense of the term. The band’s music is a loud, aggressive blend of punk and free jazz, tied together with compositions that twist and turn through angular unison melodies and complex rhythmic vamps. Many Arms’ punk rock touring ethos has taken their music across the US and Canada numerous times, where they've shared bills with many bands, including Marnie Stern, Nat Baldwin, Tera Melos, Dysrhythmia, Extra Life, Schnaak, Bardo Pond, Normal Love, Inzinzac, Eric Carbonara, Yowie, Les Rhinoceros, Mario Diaz De Leon, Pitom, Guerilla Toss, and Not the Wind Not the Flag. Many Arms has toured across the US and Canada many times, playing shows and festivals everywhere from run down squats to New York's Town Hall for John Zorn's Masada Book III premiere concert and Montreal's Suoni Per Il Popolo festival. 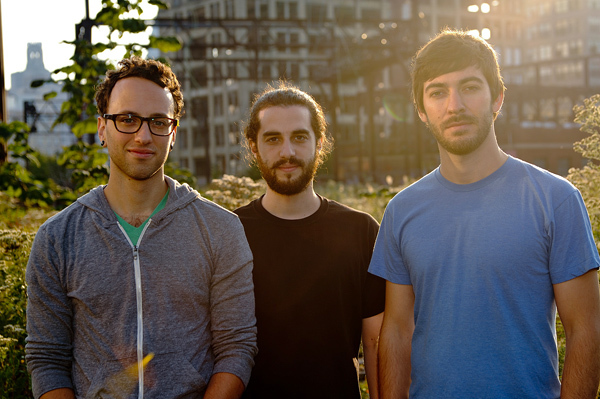 To date, Many Arms have released four full-length albums and one EP. Their two most recent releases have been on John Zorn's Tzadik label. In spring 2015, the band will release a collaboration with Tokyo-based no-input mixing board artist Toshimaru Nakamura on Public Eyesore.